Bookmarks is an amazing tool that helps us to easily visit that page again whenever we want to after bookmarking a webpage. But what happens if you accidentally delete your bookmarks folder from your iPhone? There are also some reports from users saying that bookmarks disappeared from iPhone after iOS 12 update. It's really frustrating when you lose access to your favorite bookmarked webpages and don't know how to find them. Don't worry! You are in the right place to learn how to recover bookmarks easily on your iPhone XS/XS Max/XR/X/8/8 Plus/7/7 Plus/6S/6/SE/5s/5. Way 1: How to Recover Deleted Bookmarks on iPhone without Backup? Way 2: How to Restore iPhone Bookmarks from iTunes Backup? 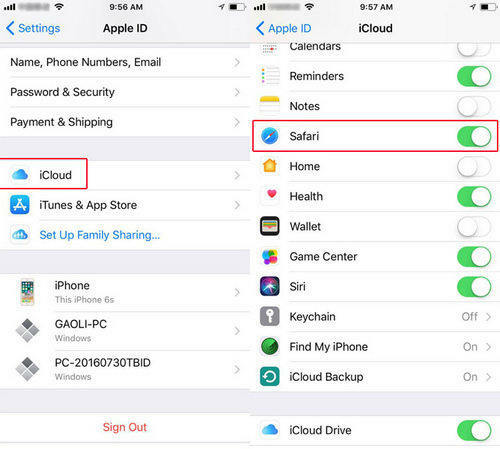 Way 3: How to Retrieve iPhone Bookmarks from iCloud Backup? Extra Tip: How to Bookmark on iPhone? It's very helpful and lucky for you if you have backed up your bookmarks and browsing data on your iTunes or iCloud before losing them. But if you haven't backed them up, don't worry, with the help of Tenorshare UltDatafrom Tenorshare you can easily recover deleted bookmarks directly from iPhone without backup. 1. Connect your iPhone device to your PC and then launch the software. "Recover Data from iOS Device" is selected by default. In the next step, click on the "Start Scan" button to scan the files on iPhone. 2. After a few minutes all scanned files that are supported by the software will be listed by category. You can just select to recover the Safari bookmarks or any other file type you need. 3. Finally select the Safari bookmarks that are important for you and click on the "Recover" button. You also need to specify a path to save the recovered Safari bookmarks on your computer. In a few minutes, all the recovered bookmarks will be available in your PC. Keeping backup of your data regularly is a good habit. UltData can help you selectively restore bookmarks from iTunes without restoring the whole backup file. Here is how to recover bookmarks from iTunes backup using UltData. 1. Run UltData and and select "Recover Data from iTunes Backup File" option. UltData will detect all the backups and display them on the software interface. Now you need to choose the backup file you need and click on the "Start Scan" button to procced. 2. After finishing the scanning process you'll be able to preview all the data that is contained inside the backup file. From here, choose the Safari bookmarks that you want to recover and click on the "Recover" button. 3. Finally choose a folder on your computer to save the recovered iPhone Safari bookmarks to your PC. 1. 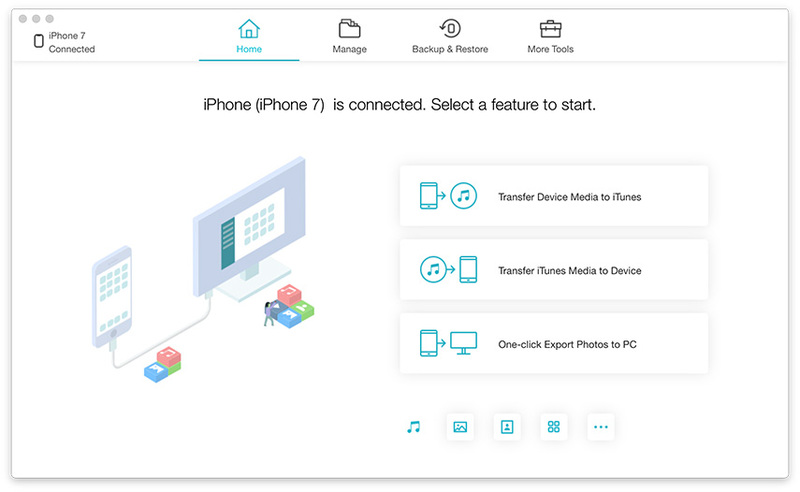 Run UltData and go to the "Recover from iCloud backup file" section. Then log you're your iCloud account. 2. Now all the backups that are completed from this account will be listed on the interface. You need to check the name, date and size of the backup file and select the one you need to recover data from. Now click on the "Next" button to proceed. 3. In the next window you will have to choose the file types you want to download and scan. From here you need to choose "Safari Bookmark" under the "Memos and Others" section and click "Next" button. 4. It will take few minutes to download the files depending on the size of those files. After the scan finishes, all the data will be displayed by category in front of you. You can preview and choose the Safari bookmarks that you want to recover. Finally, click on the "Recover" button to retrieve the Safari bookmarks on your PC. Hey! How about an extra tip for you? Everybody loves getting something extra right? 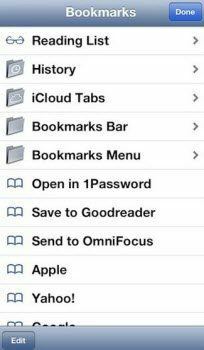 So here is an extra tip on how to add bookmarks on iPhone. 1. Launch the Safari browser app on your iPhone and visit your desired webpage. 2. Now tap on the "More" button at the bottom of your screen. 3. Finally tap on "Add Bookmark". 4. Enter information and save the bookmark. Losing bookmarks is not an option for any iOS user but still, it happens sometimes. So if you have lost or accidentally deleted your bookmarks data then you need to follow this article to learn how to get bookmarks back. With the help of UltData, you will easily be able to learn how to recover bookmarks with or without backups.